Britain’s Ben Swift (Team Sky) has won stage two of the Tour Down Under in Australia, winning the bunch sprint in Mannum. Only yesterday, Swift was speaking of how he was settling into his role as a lead-out man for Sky sprinters Greg Henderson and Chris Sutton. But as crashes in the final kilometres of Wednesday’s stage reduced the peloton severely, Swift found himself in the ideal position to go for the win. It’s Swift’s second major victory on the road for Team Sky having won a stage and the overall at the Tour de Picardie last year. It’s also the first major win by a British rider this year. 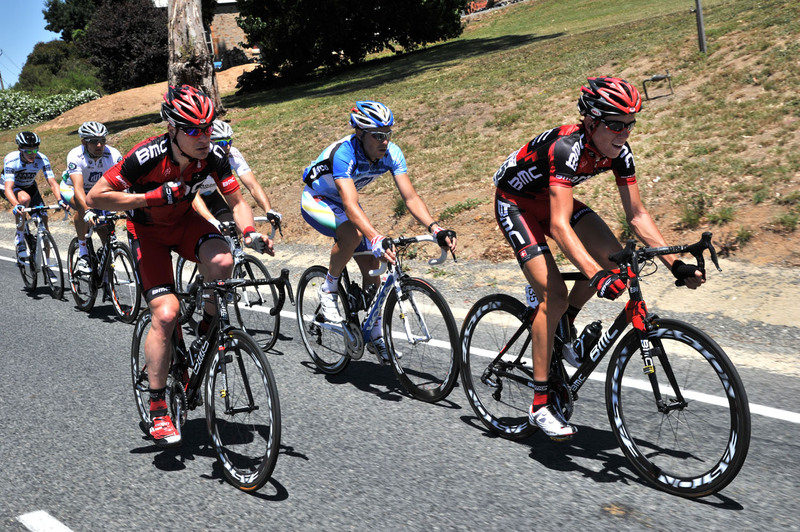 Robbie McEwen (RadioShack) came second and takes the overall lead after he placed third on the opening stage. Stage one winner Matt Goss (HTC) is second, and Swift moves up into third overall. Earlier in the stage, Yuriy Krivstov (Ag2r) escaped the bunch after 17km and was quickly joined by David Tanner (Saxo Bank-Sungard) and Mitchell Docker (Uni SA-Australia) to form a three-man break. The trio were joined by Luke Roberts (Uni SA-Australia), Simon Zahner (BMC) and Timothy Roe (BMC) just after the 64km mark. Roberts sat up shortly after, leaving five riders to work together. Roe launched a spirited lone attack in the final 30km but was reeled in by the bunch driven by the Sky and HTC-Highroad squads with five kilometres to go. 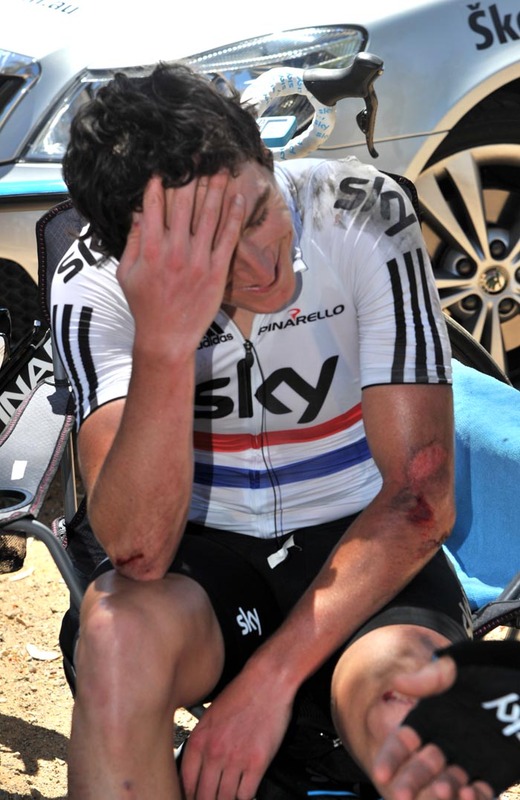 Then the first of two sizeable crashes took out large sections of the peloton. 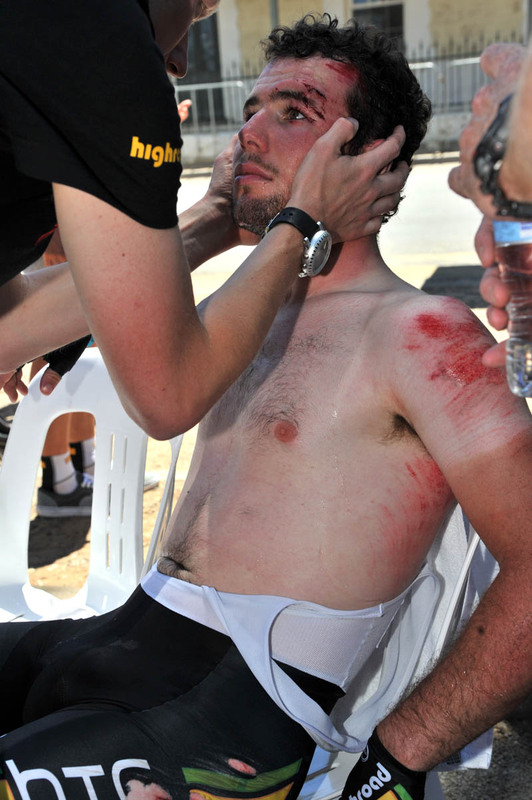 Those falling victim to crashes included Sky’s Sutton, race leader Matt Goss (HTC-Highroad), Mark Cavendish (HTC-Highroad), Andre Greipel (Omega Pharma-Lotto) Geraint Thomas (Team Sky), Julian Dean (Garmin-Cervelo), Travis Meyer (Garmin-Cervelo) and Bernard Sulzberger (Uni SA-Australia), who is out of the race after breaking his collarbone. After picking himself up and dusting himself down, Cavendish came over the line three minutes and 47 seconds behind Swift. Thursday’s stage three of the 2011 Tour Down Under runs from Unley to Stirling, 129km.The race concludes on Sunday, January 23. 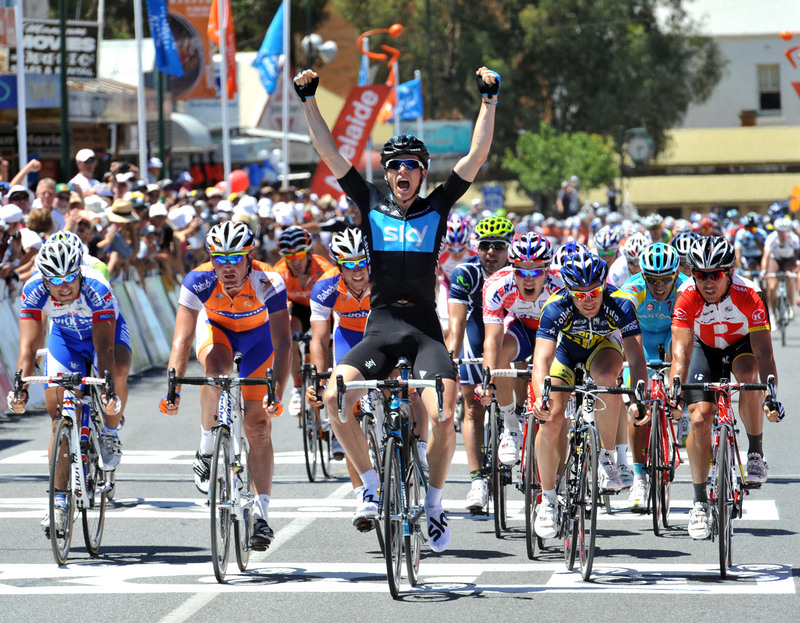 Tour Down Under 2011: Who will win?